I'm throwing a fondue party for Valentine's Day (romantic for two, or fun for a few!) over at Big Girls, Small Kitchen this week! Fondue is back in style and this year? 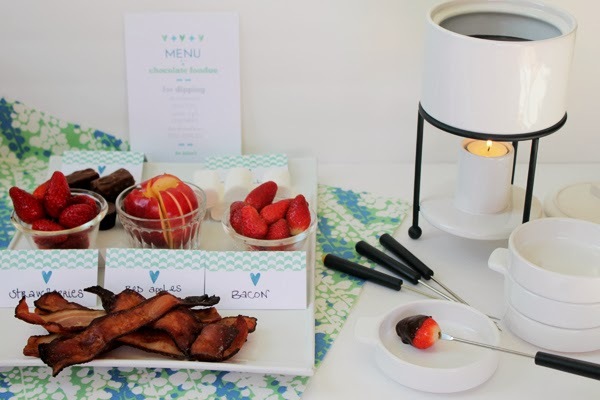 We're dipping bacon in the chocolate fondue because it's 2014 and we can. Obviously. Oh my!! Chocolate covered bacon! My sons would be all over that. I'll have to try that soon.